There is so much more to Boston brewing than Sam Adams! While do enjoy Sam Adams offerings and I think their tour is great (um, it involves a party trolley with strobe lights), there are a lot of smaller breweries popping up. Last weekend, I visited Bantam Cider in Somerville, MA. 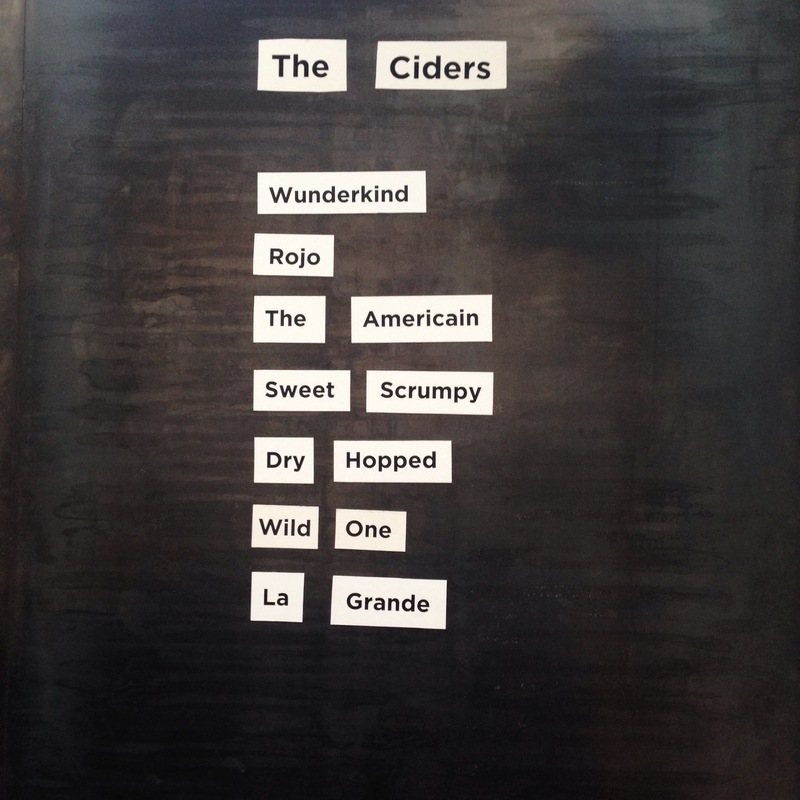 They refer to their product as “Modern American Cider” and their tasting room is open on Thursdays and Fridays from 4-7 and Saturdays from 1-7. We started with a flight of 5 ciders so we could get a sense of what we liked best. I’d had Wunderkind before, so I was excited to try the rest. More detailed descriptions could be found on the bar and the bartender told us even more. For example, what is the wild yeast in the Wild One, you ask? Yeast from apple skins! 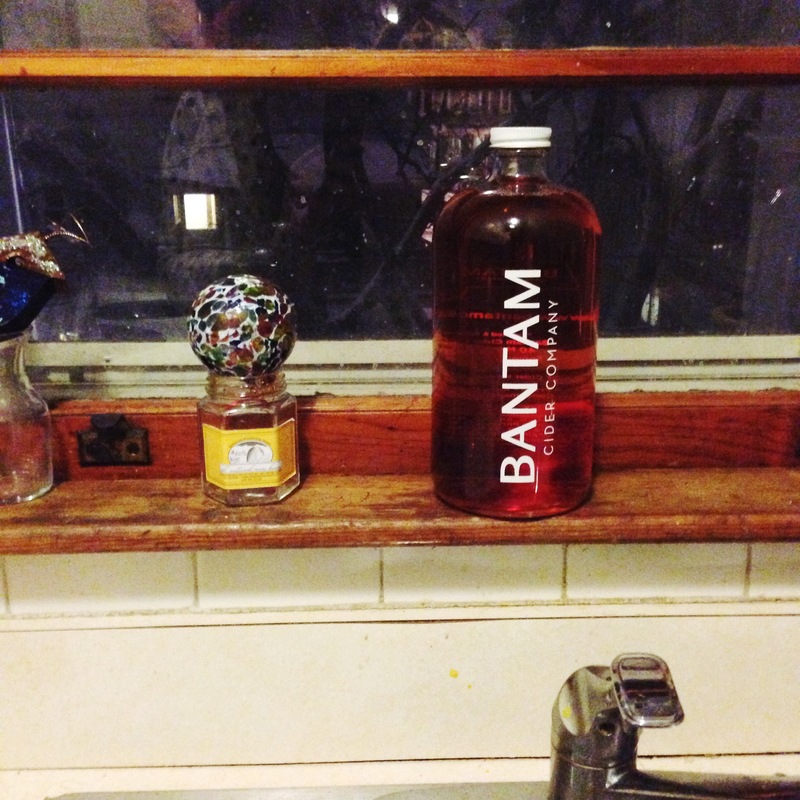 At Bantam, you can buy t-shirts, glasses, and bottled beer, as well as growlers of what they have on tap. We took home some Rojo and look forward to returning soon to fill up the bottle again. 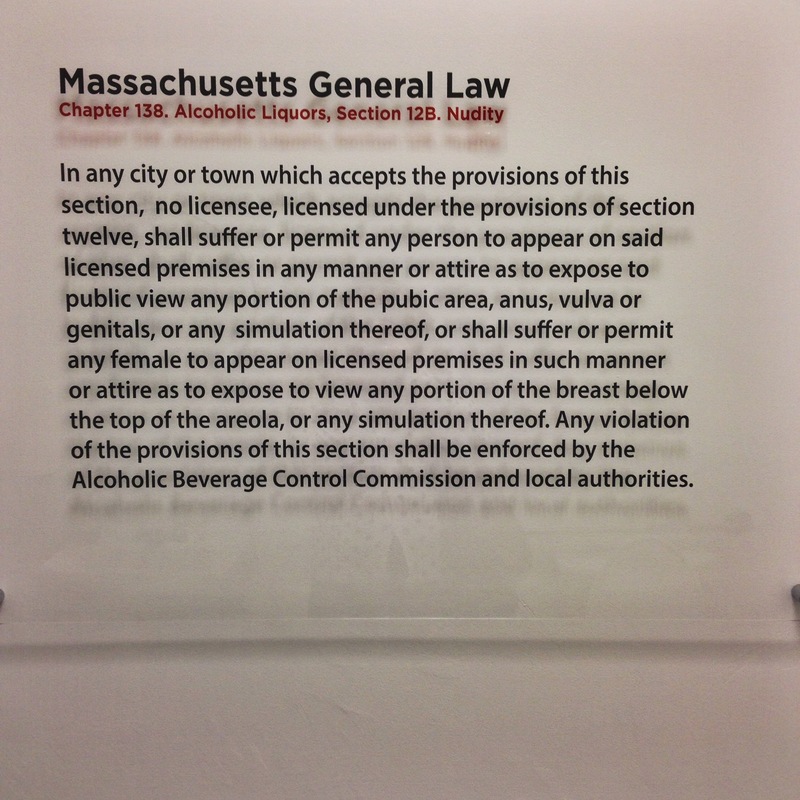 You can visit Bantam at 40 Merriam Street in Somerville, MA.